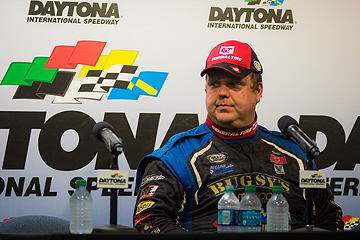 FREDERICKSBURG, Va. – Willie Mullins turned a lot of heads with his second-place finish in the season-opening ARCA Racing Series presented by Menards event at Daytona International Speedway in February. Mullins, driving the No. 3 Crow Wing Recycling/CW Metals Ford for his own Mullins Racing team, avoided multiple late-race crashes to earn that second-place finish behind race winner Michael Self in the Lucas Oil 200 driven by General Tire. 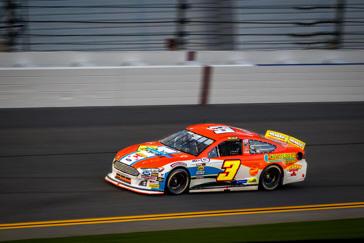 Despite the successful run at Daytona, Mullins has chosen to sit out Friday’s General Tire 200 at Talladega (Ala.) Superspeedway in order to focus on his business, Bugsy’s Auto in Fredericksburg, Va. Despite carrying sponsorship from businesses like Crow Wing Recycling and CW Metals, Mullins Racing is still heavily self-funded. Because of that, Mullins says it is important for him to focus on making his business as healthy as possible so that he can afford to return to the race track. While Mullins Racing won’t be at Talladega Superspeedway this weekend, that doesn’t mean the team is idle. Mullins has confirmed that his family-owned team will once again field a pair of ARCA Racing Series entries when the series travels to Minnesota’s Elko Speedway on July 14. “It’ll be a bit of a home field advantage with my wife Dinah’s family being based up there,” Mullins said of Elko Speedway. “We’re excited to be there and we’re already working towards that. We’ve been testing at Dominion Raceway here in Virginia with our Elko car to try and get ahead of the curve. Last year at Elko Speedway Mullins fielded a car for himself as well as fellow Fredericksburg, Va., native Robert Bruce. Both drivers finished inside the top-15 at the conclusion of the 250-lap event, with Bruce finishing 12th and Mullins earning a 14th-place finish.